If you're looking for Riverdale to help soothe your winter blues, you might not be in luck for the next few weeks. The hit The CW series is taking a brief hiatus, and will not be airing new episodes on February 13th or February 20th. New episodes of the show, which was recently renewed for a fourth season, will return starting Wednesday, February 27th, at 8/7c. This marks the first big break in episodes of Riverdale's third season thus far, aside from the usual end-of-year hiatus that most of the network's shows take. And given the footing that last week's "Bizarrodale" ended on, it's easy to see why the show might be taking a brief hiatus. 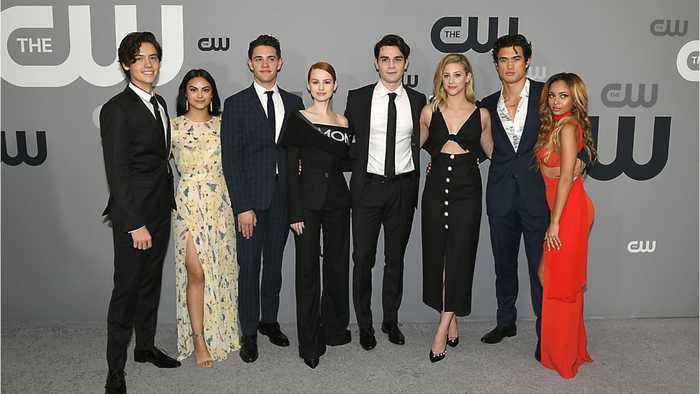 The episode shifted the focus away from the "Core Four" and onto Cheryl (Madelaine Petsch), Josie (Ashleigh Murray), Kevin (Casey Cott), and Reggie (Charles Melton), with some pretty interesting results. New relationships were formed, another Gargoyle King was unmasked, and the massive roster of characters in Riverdale shifted quite a bit. When the season does pick back up, it's expected to bring some major revelations with it, in an episode titled "Requiem for a Welterweight". The promo for the episode hinted at the show finally going inside "The Farm", the cult group that has had an increasingly-creepy presence within the world of Riverdale. "We're going to meet the farm's leader, Edgar Evernever but, equally important, we're going to meet his daughter, Evelyn Evernever, who is an Archie character that we’re sort of reinventing for this storyline,” showrunner Roberto Aguirre-Sacasa explained before the season began. “There’s almost a banality to the cult and a sort of generic-ism that gets sinister pretty quickly." As was revealed late last week, One Tree Hill star Chad Michael Murray will be stepping into the role of Edgar Evernever, a character that fans have been waiting to see all season. His official character description states that he's "the enigmatic leader of the cult-like Farm, Edgar arrives in Riverdale to spread his teachings and heal the ravaged soul of this once wholesome town. Edgar is a charming, handsome guru, but is he hiding a more sinister agenda?" (Knowing Riverdale, he most likely is.) COMMENTS Are you sad that Riverdale is taking a few weeks off? As mentioned above, Riverdale will return with new episodes on Wednesday, February 27th, at 8/7c on The CW.